A gift that says, "May luck and laughter light your days!" 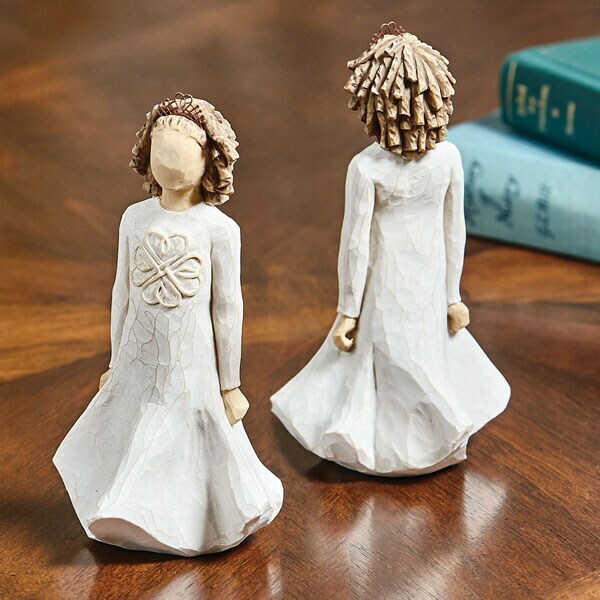 Inspired by young Celtic dancers, Kansas City artist Susan Lordi created this spirited girl with a four-leaf clover of hearts on her gown and a heart topping her tiara. Cast in stone resin from a hand-carved original, she stands 5 ½" high. Gift boxed with a card.